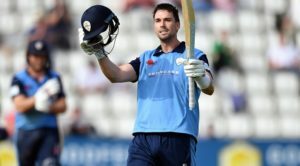 Head of Cricket Dave Houghton believes Logan van Beek’s desire to break into the New Zealand national team is what makes him the right fit for Derbyshire next summer. The all-rounder, whose performances for Canterbury have earned him a number of New Zealand A call-ups, is hoping to impress in the county game and force his way towards full international honours. 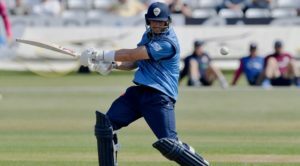 Houghton, who consulted John Wright before approaching van Beek, is encouraged by the 28-year-old’s mentality and hopes to see him prove his point to New Zealand whilst in a Derbyshire shirt across all forms. Houghton said: “We were looking for a specific type of cricketer and someone to enhance our bowling attack. “We had Duanne Olivier here for the first part of last season and he was a great success. “We tried to get him back this year, but he has other commitments and is looking in different areas. “Logan came to our attention and I’ve been very impressed with what I’ve seen. “We did research as well and most importantly spoke to Bob Carter, who’s in charge of the high-performance centre in New Zealand, and he gave us a glowing report. “We then went to John Wright and his feedback on Logan was so good that we’ve gone down that route. “He’s on the verge of New Zealand and bursting to try and get in. That’s the type of cricketer we want – guys who are here with a point to prove. 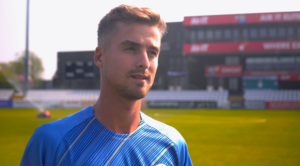 Although a powerful hitter, with a first-class century to his name, van Beek is known predominantly for his bowling and has claimed 109 first-class wickets and 61 List A wickets – both at an average of 30. Houghton added: “I’m sure he’d like to be called an all-rounder, but he’s been signed for us as a fast bowler. We’ve got so many all-rounders in our squad, so he’ll have to slot in towards the back end. “But it is nice to know that we can be in a position to score quite heavily towards the end. “He gets his wickets with balls that are pitched up and that’s a good length in England, especially in the early season. “He is definitely an all-format player and I think he’s a very exciting overseas professional for us. “There’ll be people who may think we don’t know that name at all, but I’d say that no one really knew who Duanne Olivier was and we know how well he did. “I think it’s exciting times and we should look at it that way. He’s a very good athlete and I’m looking forward to having him with us.